Work being done at Rock Spring Farms, a social enterprise in Rockfort, Kingston. As part of its mission, Rock Spring Farms employs at-risk youth from the community of Rockfort, which is part of the Planning Institute of Jamaica's Community Renewal Programme. Photos: Mark McFarlane/FHI 360, February 2018. We believe that strong communities come about through strong organizations that work in and with communities. Local Partner Development works with organizations to help them improve on how they do their work, so that they can strengthen their communities and help reduce crime and violence in Jamaica. The primary objective of Local Partner Development is to build the capacity of Jamaican non-governmental organizations, social enterprises, community-based organizations, other civil society organizations, and government entities that partner with USAID in Jamaica. Local Partner Development is a 5-year activity, implemented by FHI 360 and fully funded by USAID under the Caribbean Basin Security Initiative (CBSI). In alignment with the CBSI’s objectives, Local Partner Development's intent is for the Jamaican organizations it supports to become more effective and sustainable actors, with the ultimate goal of improving Jamaican citizen security and social cohesion. 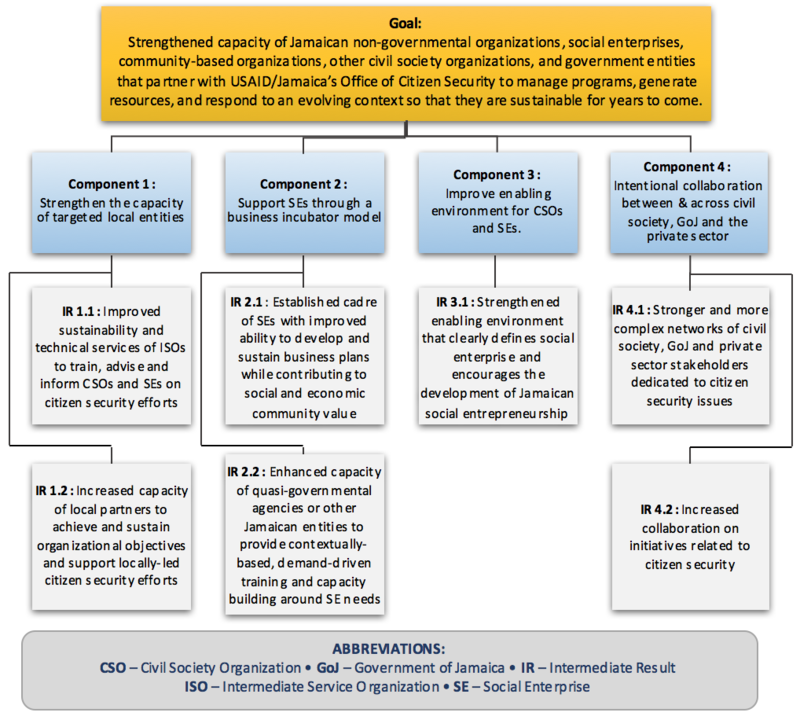 Component 4: Intentional Collaboration Between Civil Society, Government, and the Private Sector.